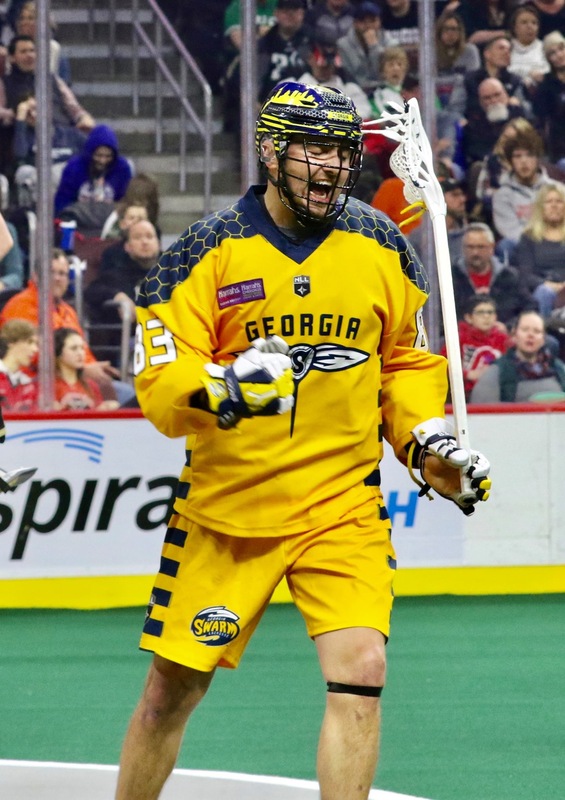 Friday night marks the first time the next set of lacrosse playing brothers will face off against each other in the National Lacrosse League, as Randy Staats’ Georgia Swarm host Austin Staats’ San Diego Seals. Austin has long been touted as someone to watch in lacrosse for his dynamic ability to score and create chances. Teams were salivating over him long before left Onondaga Community College to declare himself eligible to play pro early. The expansion Seals took him first overall, and of course, the person most proud of him? 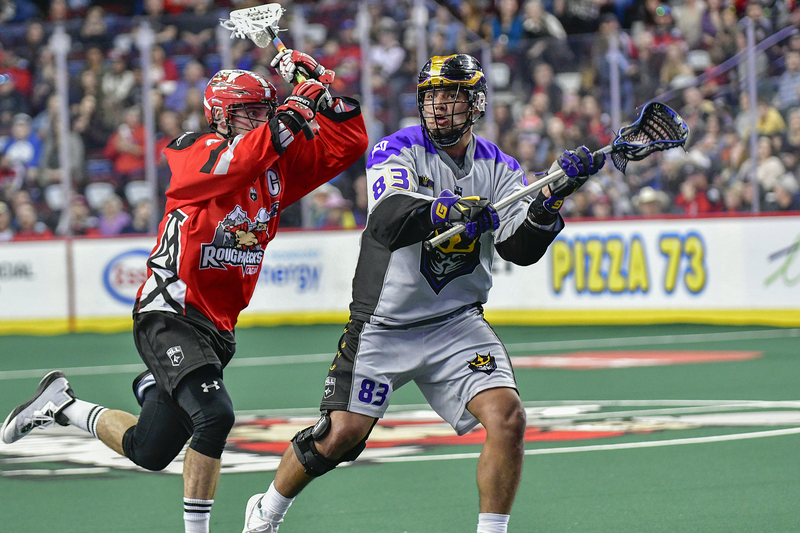 Four-year NLL veteran Randy, who was able to watch his brother’s subsequent first game in which he scored five goals and four assists. Randy wasn’t shocked by his younger brother’s immediate impact on the pro game. The two brothers will face off for the first time tonight at Harrah’s Cherokee Casino Field at Infinite Energy Center and they expect a lot of family to be in attendance. “I can’t wait. I’ve had it marked down on my calendar,” Randy says. He’s sure his numerous family in attendance will do something to celebrate the pair, although he’s not sure where all their loyalties lie. San Diego currently holds top spot in the west, partially due to Austin’s incredible season. He’s third on the team with 59 points though he leads in goals with 31. Brothers facing off against each other isn’t a new idea in such a niche sport. It’s actually a phenomenon that has a long history in lacrosse. Think of some of the more recognizable names: Gait, Evans, Self, Dawson, Thompson. In fact, Josh and Zach Currier also face each other this weekend when Calgary visits Philadelphia on Saturday. Family members can be teammates, too: both Paul and Dan Dawson currently play for the Seals. Patrick Merrill doesn’t play against his brother Brodie anymore; he actually coaches him in San Diego. Brodie’s the captain of the Seals; he signed there in the offseason to be with his brother. Merrill believes that his brother had the biggest impact on his career and won’t be surprised if Austin and Randy say the same thing about each other one day. “I certainly would not have played as long as I did or even have been a pro player/coach if it wasn’t for Brodie. We’ve always challenged each other to be the best players and people we could be, but have also been great friends and supporters of each other along the way. Randy says that he and Austin chat almost every day, though his younger brother doesn’t often need his advice. As for Austin himself? He can’t wait to see his brother tonight.